Owner: A.J. van Vliet & Zn. - Originally built under the name Stellendam in 1965. - Renamed Chrigon, year unknown. 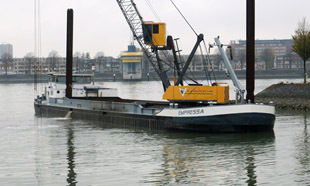 - Renamed Empressa in 2011.